​AMONG the many ways in which faith in the Bible and its true teachings and precepts is being undermined more and more in our day, especially among the younger generation, is the teaching of Humanism in public schools and otherwise. Humanism has become very widespread and accepted, though an increasing number in our day are recognizing it as an enemy and are opposing its encroachments. Accordingly, we will examine it from various standpoints herein: Humanism's definition, origins and history; its various forms—"Christian," Renaissance, Reformation, Deistic, Atheistic, Darwinian, 20th-century, modern religious and modern secular; its aims, evidence proving the existence of spirit beings and that mankind cannot save the world; testimonies from the deepest thinkers, misrepresentations by Humanists, many propositions of Humanist Manifesto II, Humanism's opponents, etc. The Encyclopaedia Britannica defines Humanism as "the system of thought or action which attaches primary importance to man and his faculties, affairs, temporal aspirations and well-being." The Greek philosopher Protagoras (fifth century B.C.) put it more succinctly: "Man is the measure of all things." To trace the history of Humanistic ideas it is necessary to have in mind a clear picture of its basic propositions, which go back to the earliest Greek thinkers. (Some claim early origins in China also.) In those early heroic times (the Greek word hero describes a demigod, believed in Greek mythology to have sprung from the union of a god with a human), a strong rationalist and materialist school of thought arose and became established in the philosopher Aristotle's day; he said, "Man perfected by society is the best of all animals. " The rise and spread of the Greek Empire took these ideas across the ancient Orient, to be accepted, modified and spread still further by the subsequent empires of Rome and Islam. As the Western Roman Empire fell and was overrun by northern barbarian tribes, Europe lapsed into medieval darkness. The founding of the Holy Roman Empire in A.D. 800 set a seal on this darkness and held the intellectual growth of its subjects at bay for 300 years. In the meantime, Greek learning flourished in Islam, and from such cultural centers as Baghdad in Iraq and Cordova in Spain the principles of philosophy slowly filtered back into Europe. Human reason was considered accursed by the Dark-Age papacy, and so its influence was suppressed, with great cruelty in some cases. In the 12th century a religious movement began among opponents of the papacy in Alby, Languedoc, France. They were joined by others in movements with somewhat different views but alike in their rejection of papal claims and practices. The term "Albigenses" became a popular generic name in much the same way as the term "Protestant" embraces a number of separate religious bodies today. To the learned they were known as the "Cathari," or Puritans. As the movement spread quickly across Southern France and into Northern Italy, a newfound freedom from papal restrictions permitted the entry, from bordering Islamic Spain, of Aristotelian philosophy, which led to a revival of human reason in that part of Europe. These "humanistic" ideas of such eminent thinkers as the Jew Maimonides and the Arab Averroes were highly dangerous to papal claims, and in the bloody extermination of the Albigenses by crusading Catholic armies and in the dawning terror of the Inquisition, this "Muslim Humanism" was also stamped out and its influence stifled for 100 years. A further and vigorous revival of classical (Greek and Roman) learning came with the sacking of Christian (?) Byzantine Constantinople by a Latin Christian (?) crusading army in A.D. 1204. To escape, scholars from this ancient seat of Aristotelian philosophy fled to the Western Empire and the universities and monasteries there. Sensing the danger, Rome nullified the influence of this new "humanism" attack on her position by causing Aristotelian philosophy to support Church dogma—that is, she developed a religious humanism to combat the effects of secular humanism. A number of brilliant apologists and expositors, in particular the Dominican Thomas Aquinas (1226-1274), in a systematic approach to the growing conflict between philosophy and the Church, drew up a far-reaching compromise between the two which effectively drew the sting from secular philosophy, and established Church dogma and papal absolutism in a new philosophical setting. Historically, this mode of reasoning is called "Scholasticism" and it was peculiar to Europe. Aquinas (regarded as the defender of the Roman Catholic Church) is considered the greatest of the Scholastic thinkers, and is known even today as the "Angel of the Schools" and "Prince of Theologians." It is worthy of note that many pre-Reformation reformers, such as Marsiglio, William of Occam, Wyclif and Wessel, were educated in the Scholastic manner, and are regarded by historians as early European Humanists. In those early days of formative thinking, the Italian-born lyrical poet Petrarch (died 1374) by his genius popularized learning and human culture among the most powerful families and sovereigns in Europe, as they vied with one another for his presence. After some 40 years at Avignon, then the seat of papal power, in 1353 he became so disgusted with the corruption of the papal court that he left a good house in the district and never returned. As patriot, poet and man of high principles, his wide traveling, great learning and engaging modesty were most effective in spreading the earliest humanistic ideas of the Renaissance across the "Holy" Roman Empire. In 15th century Italy, a new and powerful Humanistic movement arose in the Renaissance (the rebirth—a great revival in the arts, literature and culture of the ancient world), which was aided by a further wave of classical Greek scholars with much of the ancient world's learning, who spread over Europe at the fall of the Eastern Empire. They fled before the all-conquering Muslim Turks who captured Constantinople in 1453 and advanced threateningly into Bulgaria. At this time Italy was disunited as a nation, and dependent upon its autonomous major cities for its social administration, so that an upsurge of intellectualism could take root without any national control. The city Florence led such an upsurge and became central to this movement of new learning. From Florentine culture at that time come such illustrious names as Michelangelo, Pico della Mirandola and Botticelli. Amid that cultural explosion was enacted also the high drama of the reformer Savonarola's life, work and martyrdom. Quickly the spirit of free inquiry spread to other cities and beyond the Alps, to enlighten all Europe with new ideas. For 100 years from the time of Wyclif and Huss, voices had been raised increasingly calling for religious reform in the Roman Church. As the news of Savonarola's torture and death added a sense of urgency, John Wessel expounded those principles of theological argument for reform which were soon to reach maturity in the teachings of the Reformation. Renaissance Humanism had affected many among the educated who held positions of influence and responsibility in church and state. Alert to the rising radical movement against the abuses of papal power, and feeling that too drastic a reform might split the Empire into warring parties, leaving Europe vulnerable to the powerful Muslim Turks in the Southeast, these learned Christian (?) Humanists desperately sought less radical reforms within the Roman Church. Like the "prophets of Baal" (1 Kings 18), they failed in their endeavor, however, and slowly thereafter the powerful religious reform work of Luther and of Zwingli began. Thus did the power of God in His real people bring about that reformation which Humanism, even in its ablest exponents, failed to achieve. While the Reformation itself was primarily an upsurge of true religious feeling against the abuses of power by religious authorities and against the degradation of an overtaxed and priest-ridden social order, nevertheless in most cases (but not always) God used scholars to lead the way. Luther himself was a man of powerful mental endowment—bold, strong, uncompromising, vivid and penetrating in his style. A voluminous writer, he raised the previously barbaric German language to a new and classical height by his expositions, including those on Galatians, and especially by his translations of the Scriptures from the original tongues. His movement, which became the Lutheran Church, marshaled a veritable galaxy of scholars in its universities and churches in defense of its teachings. All of these were inevitably affected in their formal education by the humanism of the scholars of their day. At that time also the genius of Erasmus (died 1536) plagued the papal authorities. His audacious and incisive attacks upon the abuses of power by the Roman Church, especially its leaders, led to the saying that there was no knot the pope could tie which Erasmus could not untie. Known as the "Prince of Humanists," he nevertheless by his cultivated common sense, allied to great learning, opposed those Humanists in his day who, like the medieval scholastics, set style above matter and objective. His personal timidity, however, is shown up in a harsh light by Luther's strength and courage. This period is famous for the debates and controversial writings of such men as Erasmus, Luther, Zwingli, Ulrich von Hutten, the Sorbonne University philosophers, Henry VIII of England, Sir Thomas More, John Colet and many others, all of whom were heavily influenced by the new learning—Humanism. We call to mind also the great learning of many whom God chose in those Reformation years, such as Thomas Cranmer (greatly influenced by Erasmus), Michael Servetus (theologian, physician and editor of second century geographer and astronomer Ptolemy's works) and Balthasar Hubmaier (an able thinker, writer and debater). Among their more sectarian-minded "followers on" are John Calvin, of mighty intellect, Faustus Socinus, who taught human reason as the only true and solid basis upon which Protestantism could survive, and many others. Nevertheless we recognize the true Church has had few such men (1 Cor. 1:26-31) and that even among its leaders of all Ages there have been many of more humble intellectual achievements, "ignorant and unlearned men" (Acts 4:13). Such work as God accomplished through the shepherd, George Fox, adequately shows His ability and willingness to use any and all who are of a pure, clean heart (Psa. 24:4; 51:10; 73:1), their scholarly achievements or lack of them notwithstanding ("My son, give me thine heart, [i.e., rather than thine head alone]"; Prov. 23:26). In the wake of the Reformation, and sheltered from Roman fury by Protestant states in Europe, came a new intellectual freedom. It was eagerly seized upon by men with strong rational faculties who had previously been curbed in exercising them by the religious authority. Particularly in England, this liberty to hold contrary opinions led to new Humanistic developments. Intellectual pride, the "Achilles heel" of so many thinkers, led some, while acknowledging God's personality, eternity and creational attributes as the Great First Cause, to deny His interest and overruling providence in human affairs. From their contemplation of the imperfect state of mankind and of nature they concluded (contrary to clear Scriptural teaching) that God had purposely left the earth in an unfinished state for mankind to bring to perfection, while He Himself had departed to some other part of the universe. The Scriptures, they said, were given by God for the ignorant and uneducated—the common people—that they might believe and thereby come to God; but for the intellectual elite the reasoning faculties were not only sufficient to bring them into God's favor, but God had insured that those faculties were capable of eventually bringing the world to its desired state of perfection. This view, known as Deism, is thoroughly refuted in our book God, pp. 416-454. Thus given free rein, with man again the central figure as both author and beneficiary of further progress—Humanism—pride and intellectual arrogance took control. Particularly from the 17th-century writings of the soldier-statesman-philosopher Edward, Lord Herbert of Cherbury and others of his day, a great decline in faith and morals began in Britain. Insidious and progressive, this false view of God at first made a great play of standing for truth and righteousness, but it quickly deteriorated into infidelity, especially through the writings of historian-philosopher David Hume (died 1776). In Britain the preaching of John Wesley from 1738 onward initiated a great religious revival, which turned aside the ungodliness and infidelity of Humanistic Deism. In a nation undermined by Deistic teachings, her people ravaged by immorality and social degradation, multitudes repented and believed when they heard Wesley's tender pleas to faith and his clear persuasiveness to discipleship. To complement this, the writings of such men as Bishop Joseph Butler, especially his "Analogy," challenged Deism along more intellectual lines and faced infidelity and skepticism with arguments which have never yet been logically answered by Deists. From France, however, came Voltaire, Rousseau and others to associate with Bolingbroke, Hume and contemporary English Deists. By them in particular the new philosophy was transplanted into France. There, unchecked by religious truth as it had been in Britain, Deism degenerated completely into irreligion and materialism and became the leading influence in the man-vaunting period of the "Enlightenment" and in the downfall of the aristocracy and monarchy in the bloody French Revolution. The next great thrust of Humanistic ideas against the truth of God's ever-present care and oversight of human affairs began also in England, in the work of immigrant Karl Marx and of Charles Darwin. Marx spearheaded a direct attack in terms of social and political philosophy against the very existence of God and the need for religion. In his day speculative scientists were already propounding their materialistic theories of how the material world could have been formed and ordered without the need of a Creator. On the basis of such conclusions Marx postulated that man, both physically and mentally, was part of and bound by the same natural order which by its fixed laws controlled all material things. History, he taught, confirmed this and man himself was evolving in an inevitable, historically determined process of development, which would in time lead him out of his present unfortunate condition as an alien held in social and religious slavery and into his true estate in the natural order where he would achieve a total freedom in a totally material world, where he would be sole master of himself and his environment. Thus did man devise a way to justify reliance solely upon his own resources in a God-less society and a Creator-less world. Corliss Lamont, leading writer of modern secular humanists, observes, "We find in the category of naturalistic Humanists the followers of Karl Marx." Darwin and his upholders did not stress social and political support for the humanistic idea, but rather scientific argument, that is, the concept of Natural Selection—not God and special creation—as the cause of the evolution of species. Lamont sums it up thus: "What Darwin and his fellow-biologists did … was to demonstrate that no wide and impassable gulf exists between homo sapiens [mankind] and the rest of nature … giving most convincing support to the major naturalist thesis that man and all of his experience are in every respect a part of nature," and again, "Naturalism … [is] a strong bulwark for Humanism." For many years belief in the Bible's truth and inspiration had been under attack from without and within the church by vulgar rationalists and higher critics among the scholarly. In more recent times the Genesis account of the origin of species, especially of humans, had been opposed by propositions that living creatures had arrived at their present state by a process of "mindless" organic evolution. Until Darwin, these ideas had been fought by the church, and rejected by science in the absence of an acceptable cause of change in species. Darwin, his genius for observation and scientific investigation suborned by a flair for speculation, together with an inordinate desire for the approval of his scientific companions, developed the theory of natural selection as being the cause of evolutionary progress. Thus he gave the Bible's enemies the main weapon which was to overcome the resistance of the church (nominal) and of the scientific world. Apart from the faithful few, church leaders and ledlings alike were swept into infidelity as theologians vied with each other (outstripping even the scientists in their early wild speculations) to try to bring Bible teachings into line with the now fashionable theory of evolution, while the Bible's account of creation was swept to one side as "no longer tenable in the light of present-day scientific knowledge" (1 Tim. 6:20). Out of this upheaval, mankind began to emerge as the intellectually proud and arrogant would have them, entirely free from higher control, solely responsible for their own progress and destiny. Philosophy had come full circle and Protagoras' words again summed up the prevailing thought, "Man is the measure of all things." From this time, secular humanism made great strides forward in Christendom, although it was not recognized as such by most of those affected by it. With the arrival of the 20th century, human society in the nations of Christendom was beginning to divide into its two great components, conservative and labor. The church generally was found on the conservative side, although a significant Christian Socialist movement with Humanistic overtones had arisen in Britain from the time of Thomas Carlyle (died 1881), which eventually brought the British Labor Party into parliamentary representation, with Low Church of England and Nonconformist support. The main body of Humanism, however, was to be found on the radical left, and as the 20th century advanced, the rise of Secular Humanism roughly paralleled that of its favorite champion, radical labor, in its various forms. As ecclesiastical influence has waned, for the first time Secular Humanism has begun to assume its own unique identity, although to this day it is more of a pervasive influence than an organized body. There are a number of organizations incorporating the word "Humanist," such as the International Humanist and Ethical Union, the British Humanist Association and American Humanist Association. Secular Humanism lends its weight to any school of thought or active body which opposes supernaturalism (i.e., belief in any being, force or influence higher than those to be found in mankind and the rest of nature). Thus many of its activities are almost impossible to trace—but its influence is widespread, especially among the educated, and can be recognized for what it is by those who have been enlightened concerning it. Most of the 19th-century intellectuals and almost all those of the 20th century, caught up in the great increase of knowledge (due under the advancing "time of the end" conditions; Dan. 12:1-4), have given humans the credit and have advanced the cause of Humanism to a greater or lesser degree; many have espoused it altogether. Ferdinand Schiller (died 1937), educated in England and later a professor of philosophy at Los Angeles in the U.S.A., first used the word "Humanism" as a special designation—for his own form of semi-religious, semi-moral philosophy. Probably the most active protagonist and preacher of Secular Humanism in modern times was Lamont (died 1995). He set forth the general position of Secular Humanism in his book The Philosophy of Humanism (its main issues will be examined later). As the world divided, with Socialist teaching spreading rapidly among the laboring classes and being adopted and spread by many intellectuals, Secular Humanism and its allies (such as Naturalism, Evolutionism, Materialism, Marxism, etc.) brought a new danger to the religious authority of the papacy and the Roman Catholic Church. Especially the "provincial" bishops were subjected to strong social pressures for reform in a changing world, which engendered a growing disaffection and estrangement from tyranny-supporting, autocratic Rome. To maintain church unity and the headship of the pope a need arose to build ecumenical bridges over new doctrinal and philosophical barriers which were appearing in lands where Socialism prospered, or where Marxism brought or threatened revolution. This task was undertaken by French professor Jacques Maritain (born in Paris in 1882) who, between the two phases of the World War, wrote many books exploring the temporal and spiritual influences of 20th-century man. He erected a philosophical defense of the teachings of Rome against the incursions of Marxism and Secular Humanism. His work will be examined later. In the wake of each phase of the World War the status of the individual has declined as society has gathered into opposing power groups (Rev. 16:16), with the laboring classes emerging more and more as an organized body, both in highly industrialized nations and in poor, non-industrial "third world" countries. Marxism, with its pointing to the evils of a capitalist society and its proffered solution of "the dictatorship of the proletariat [workers]" has become ever more appealing, and Socialism in all its forms has grown rapidly. Defensively, churches in Christendom have tried experiments with worker priests, which have failed, as many of these have been and are being won over to the Socialist cause. In poorer nations the clergy have been identifying with the oppressed ones and espousing their human cause as an expression of Christian belief in action. The reactionary church leadership—especially the papacy, has become increasingly alarmed at the erosion of their powers of control and the trouble has been diagnosed as a worldwide shift of emphasis from the spiritual to the material needs of man—that is, to Humanism, the underlying theme of all materialist philosophies. Growing enlightenment among the common people has been revealing ever more clearly the false position of the ruling powers in both church and state. Many religious activists in Christendom in our times have moved away from spiritual aims and teachings and toward social projects and objectives. Jesus is presented more and more as a great social reformer, and nothing more. This is the classic Humanist view of Jesus, seen not as the Son of God, the Redeemer, the Savior of the world, resurrected and sitting on the right hand of the Father, but as an ordinary man—admittedly one of the best which the race has produced, but still an ordinary man—long since dead and remembered only for His courage, compassion and reproof of the ruling powers and the social order of His day. In more recent times the World Council of Churches has openly adopted a Socialist stance in opposing oppressive or allegedly oppressive right-wing governments, even supplying much funding to revolutionary movements engaged in guerrilla warfare against established governments. The reactionary elements in the churches, especially the papacy and its main supporters, are under mounting pressure from keen social arguments within their own sects, for sweeping reforms. Attempts at ecumenism have not only concerned the bringing together of the sects of Christendom, but have also been aimed at reclaiming those who have "strayed" into Marxism and Secular Humanism. Some form of acceptable compromise has been sought, and again, as in Aquinas' days, the papacy has turned to a new form of Religious Humanism. This latest form of Humanism analyzes the teachings of Marx and draws out certain principles which show Communism to be, in fact, a form of religion, which erred in being man-centered and not God-centered. It has accepted unavoidable, irrefutable claims of social justice put forward by the Socialist world, and has sought to demonstrate that these had always been inherent in Christendom but have awaited the historical developments of the present day before they could emerge. They believe the time has now come for a new Christendom to arise, embodying the new freedoms and reaching into all sections of society, but diametrically opposed to any central authority (other than the church) such as the state, "the [political] party," or even a section of the community such as "the proletariat." Almost solely responsible for this attempted reform was Professor Maritain. Reared as a liberal Protestant, he married into a Russian Jewish family. After his wife's conversion to Roman Catholicism he took on as his life's work the study and renovation for 20th-century purposes of the work of Aquinas. He wrote more than 30 books on the subject, but his most significant work was "Integral Humanism," with the revealing subtitle, "Temporal and Spiritual Problems of a New Christendom" (first published in 1936). Pope Paul VI at Vatican Council II, the Ecumenical Council, publicly recognized Maritain's work, which had played a major role in creating the conditions of thought leading to that Council being held. Had social conditions been stable, this uneasy compromise between opposing world-views might have permeated the religious world and achieved stability in Christendom for many years to come, as it did in the days of Aquinas. As the world in this present great Time of Trouble (Dan. 12:1; Isa. 22:5; Matt. 24:21, 22, etc.) continues to divide and "polarize," however, and as knowledge increases (Dan. 12:4), exposing those Dark-Age errors upon which the present (evil) world order is founded (Gal. 1:4), so this compromise position of Religious Humanism becomes more and more untenable. Across the world, strong reactionary governments are being sanctioned to maintain law and order, as radical and unruly elements disrupt attempts to control the affairs of state, with the middle ground of compromise fast disappearing (2 Tim. 3:1-9, 13; 2 Pet. 3:3). But the compromise position of Integral or Religious Humanism with its vain hope of a New (reformed) Christendom will be short-lived, and the "flirtation" with Marxism will soon be over, burned up by the fervent heat of events of the Day of Lord's anger (Mal. 3:2; 4:1; Zeph. 1:18). All mankind's works of the flesh, including many and varied philosophies which are not in full accord with God's character and Plan of the Ages revealed in His Word, are but idols (Isa. 40:15-24; 44:9-20), and are destined to be destroyed in the disaster which is to overtake the nations in the great Time of Trouble (Rev. 2:26, 27). Although earlier forms of Humanism still linger on in a number of guises, Modern Secular Humanism, otherwise known as Contemporary Humanism, is overwhelmingly the most prevalent today. We shall, therefore, follow the common custom of ignoring other forms and refer to this form merely as "Humanism." As the nations of Christendom and of the world in general have sought in recent times to maintain stability in the face of the continuing and rising storm of the great Time of Trouble (Zeph. 3:8; Psa. 107:23-28; Isa. 22:5; 24:17-23; Dan. 12:1; Matt. 24:21, 22; 1 Thes. 5:1-5), the people—leaders and ledlings alike—are increasingly bewildered and frightened by the rising tide of evil (Luke 21:25-27). One after another the old, false concepts and doctrines which underpinned society in this present evil world (Gal. 1:4; John 15:17-19) are being revealed, exposed by the bright-shining of the Truth in this, the Epiphany period, when the Lord Jesus is revealed (2 Thes. 2:8; 2 Tim. 4:1). Once-respected bastions of law and order are being arraigned, discredited and disowned and will be swept away as by a flood (Isa. 14:22, 23; 28:2; Nahum 1:8; Matt. 24:37-39; see our book, The Battle of Armageddon). Although the very nature of the individual craves something in which he can believe and someone with whom he and his society can identify as a reassurance in a vast and largely incomprehensible universe, he finds himself at a loss. The crumbling of thrones and other governments and political systems, the feared collapse of financial structures and economic arrangements, together with the rapid erosion of moral standards, are all destroying mankind's faith in their time-honored institutions and their confidence in themselves. Yet few indeed are they who recognize how these evils have followed closely on the heels of religious infidelity and the discrediting of the Bible! To the deceived world of mankind (2 Cor. 4:3, 4; 1 John 5:19) the Bible's teachings and its reliability are inextricably bound up with the standing of the sectarian religious teachers and sects of Christendom, so that the evils now being exposed in Christendom quite unjustly bring the Bible itself into disrepute. Few realize how the Bible's supposed upholders in many denominations have to a greater or lesser degree misrepresented God, distorted the teachings of His Word and acted in a manner contrary to the leadings of God's holy Spirit (1 Pet. 2:7, 8: Rev. 3:14-18). Well-meaning men, blinded by these sectarian leaders to the truth of the situation, seek in desperation to set up other, alternative things for the people to believe in, identify with, cling to and worship in order to stabilize their tottering world (Matt. 15:13, 14; Rom. 1:20, 21). Humanism is one such alternative, brought to the fore in recent times and seeking to appeal in all manner of wild speculations, specious claims and unachievable, Utopian promises purporting to bring humans happiness without God. Feeding, vulture-like, on the dead hopes of people disillusioned by false religions, it vaunts itself as a human-centered alternative to what has gone before, seeking to attract a following from the lost and bewildered world living in this time of evil and abounding infidelity (Luke 18:8; 2 Pet. 3:3-18; Rev. 11:18). In the foregoing we have seen how this human-centered, humanistic spirit has imbued some of the most prominent religious and philosophical developments in history. In spite of brave attempts by some of the world's most original thinkers to theoretically define the ideal Humanistic society, as in Plato's Republic, Thomas More's Utopia and Francis Bacon's New Atlantis (the latter two being early forms of religious Humanism), the tendency of Humanism in practice has always been degenerative. Now, however, we see for the first time Humanism standing alone, an entity in its own right, claiming to be a panacea for all of society's ills, a complete philosophy and a way of life to bring the long-sought relief to mankind's stricken estate. Its voice, strident in its contradiction of God's Word, tells us that in mankind alone (Rom. 1:25), not in Christ alone (Rom. 8:17-19, 22; Isa. 9:6, 7), is there any such hope. We acknowledge that a desire to achieve some good for humanity sometimes underlies the propagation of this atheistic, man-centered philosophy and way of life. Indeed, this is true of most social philosophies. But clearly we see the "deceivableness of unrighteousness" by which Satan leads the fleshly minds of these teachers of error, to blind mankind still further to the Truth in this day in which the Lord Jesus will be revealed (Luke 6:39; 17:26-30; 2 Thes. 2:1-12). Because of the vast increase of knowledge in all fields of learning (Dan. 12:4), which is breaking down the structure of old errors which support this present evil world (Gal. 1:4; Eph. 5:16), all arguments against God and His Truth necessarily become more specious, superficial, wild, ostentatious and boastful. The appeal of such arguments relies increasingly on the fear and bewilderment of mankind as they seek shelter and safety from degenerating world conditions in this day of the Lord's wrath (Luke 21:25, 26; Psa. 107:23-27; Isa. 2:17-21; 19:3 [Egypt is a type of the world]; Rev. 6:15-17; compare Mal. 3:1, 2). (1) Humanism seeks to destroy all faith in God and in the existence of a spirit world, including God's existence and His nature, spirit beings and influences, mankind and the physical world as God's creation, the Divine Plan of the Ages in its various aspects, including the fall of Adam, death as sin's penalty, the Ransom, the High Calling, the awakening and restitution, the Kingdom of Christ, the Ages of Glory and everlasting life. Humanism further denies the Divine inspiration, truth and authority of the Bible; it denies the existence of God's covenants, the believableness of Bible doctrines, promises, histories, prophecies and types, and the relevance and usefulness of the Bible's precepts and exhortations. 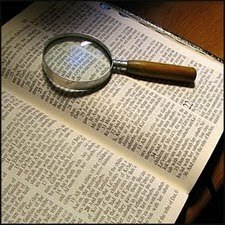 In short, it seeks to eradicate entirely from man's affairs any form of religious faith, true or false, and the Biblical morals; but it particularly seeks to destroy the influence of God's Word in either its Old or New Testament teachings. (2) The aim of Humanism is to present, in place of God and Jesus, mankind as the savior and the hope of the world! Surely we must examine very closely and critically the substance of such an astounding claim that, since God does not exist, man himself (in his dying, degraded condition!) is man's only hope! Is there really no evidence for a Creator, and a spirit world? And can mankind really save themselves from death and its concomitant dying condition, sorrow, suffering and fear? Is there evidence that mankind is capable of overcoming the evil forces which have filled the pages of human history with an unbroken story of war, tyranny, bloodshed, rapine, lies, hatred, deceit, suspicion, superstition, fear, famine, hunger, etc.? The issues are of such vast, universal import that an examination of the evidence must be made. The question of the existence of God and the rest of the spirit world must be placed in the forefront of all things facing man as he seeks to determine what must be taken into account in his understanding of himself, his origin, his destiny and his relationship to everything he encounters in his environment. Of the reality of the material, tangible, three-dimensional world, his senses leave him in no doubt. Although he may not be able to fathom its nature, purpose, origin or destiny, he is at least in no doubt as to its existence. With this both Humanists and non-Humanists in general agree. Mankind has also no reason to doubt the reality of an associated but intangible sphere of the mind, with its consciousness, memory, will, imagination, etc., since it forms as much a part of what mankind commonly experiences as does the material world. With this proposition also few would disagree. There, however, Humanists stop. In their desire to have "man the measure of all things," they can go no further without undermining their own basic proposition. All evidence or testified experience to the contrary they must deny or explain away as best they can. This leaves them in an extremely weak position—in fact, we would say an indefensible position; for not only is mankind's environment, experience and history replete with clear evidence of a higher, supernatural or spirit world, but the nature of the material world itself and the realm of consciousness, memory, will, imagination and thought (which Humanists admit) can be reasonably and satisfactorily explained only in the context of a higher, supernatural power, wisdom and purpose. Since this is so, of course Humanists must necessarily be specious, shallow and strident in their argument, to hide its weakness. What evidence have we of a supernatural or spirit world? Many are the works of eminent and good men which set forth proofs of the existence of God and the rest of the spirit world and set Him forth as the Designer and Creator of this vast and complex universe, such as Prof. P.S.L. Johnson's remarkable books God and Creation (available through us; ask also for a free "God's Existence" booklet). Also there are the Bridgewater Treatises (published about 1830) on the Power, Wisdom and Goodness of God as manifest in creation, with testimony from the highest authorities in the fields of geology, mineralogy, chemistry, astronomy, physics, the moral and intellectual constitution of man, etc., etc. Many, too, are the works which show the existence of a supernatural world as a corollary to the truth and reasonableness of Christianity, such as William Paley's Evidences of Christianity and Joseph Butler's Analogy of Religion, Natural and Revealed, to the Constitution and Course of Nature, among many others. All such deep inquiry into the nature of things is avoided by Humanists who, to uphold their position, must live their intellectual lives in a sphere of shallow plausibility's, selecting superficialities but concealing the deeper reasonings of great men, which should not be ignored. "I had rather believe all the fables of the Talmud and the Koran, than that this universal frame is without a mind"; "God never wrought miracles to convince atheism because His ordinary works convince it"—Francis Bacon (died 1626). "There is something in the nature of things which the mind of man, which reason, and which human power cannot effect, and certainly that which produces this must be higher than man"—Cicero (died 43 B.C.). "If God did not exist it would be necessary to invent him"—Voltaire (died 1778). "Nature is too thin a screen; the glory of the omnipresent God bursts through everywhere"—Emerson (died 1882). "You think you are too intelligent to believe in God. I am not like you—not everyone who would like to be is an atheist"—Napoleon (died 1821). "May the Creator of all existence further, through the Good Mind (in man), humanity's fulfillment of that which most achieves a reformation in accordance with the Creator's will"—Zoroaster (flourished about 600 B.C.). "Great is God, who has given us hands, and swallowing and organs of digestion; who has given us to grow without our knowledge of it, to breathe while we sleep. … I am a reasoning creature, and it behooves me to sing praises to God. This is my task and this I do, nor, as long as it is granted to me, will I ever abandon this post"—Epictetus (flourished about A.D. 100). Time and space fail us to give a more comprehensive list of men renowned by the world for their wisdom, who have expressly testified to their belief in a supernatural world. Such philosophers from the ancient world as Xenophanes, Pythagoras, Socrates and Plato and such front-ranking philosopher-scientists of later ages as Roger Bacon, Robert Grosseteste, Kepler, Descartes, Leibnitz, Newton, Huygens, Pascal, Kant, Pasteur, Agassiz and a host of other greater and lesser lights, who, after examining the nature of the material world, all predicated its positive assertion of the existence of a higher, immaterial and supernatural world. Even from ancient times until our present day, there have been few indeed, if any, among the world's deepest thinkers who have been audacious enough (as modern Humanists are) to deny the existence of a supernatural world. Those who did deny it, such as the Materialist Democritus (fifth century B.C.) and his later disciples Epicurus and Lucretius, by their shallow philosophies led men into such moral decline that society soon spewed out their evil ways. Thus we see that a consensus of those to whom the world has looked for wisdom are in no doubt as to the existence of a supernatural world—a spirit realm—and a God in that spirit realm who governs the natural order. In seeking support from such, the Humanist is forced to misrepresent them by selecting and presenting some of their superficial conclusions, while concealing their deeper reasonings. Many glaring examples of this deception appear in the writings of Lamont, who must surely have written tongue-in-cheek; for example, in The Philosophy of Mankind, he states, "The only function that Newton could find for the Deity was a sort of cosmic tinkering in adjusting certain irregularities in the movements of the more distant stars and comets." This is blatant misrepresentation of the truth, for as any brief introduction to Newton's life will show, he was one of the greatest and most religious men of science who ever lived. He deemed it a waste of his time to discuss any deep matter with one who did not believe in God, since this to him was clear proof that such a man's mind was not working properly! So much for the atheist Lamont! One wonders at his brash temerity in seeking support from one who in the most fundamental sense so positively disagreed with him. Surely this reveals the poverty of Lamont's argument, and the lack of morality in his philosophy whereby he so cynically seeks to deceive the unwary, realizing that many would not "prove all things" (Eph. 5:10; 1 Thes. 5:21). The writings of this Humanist zealot abound in such distortions and unsubstantiated claims. The evidence of a supernatural world is in the works of creation with all their wonders (Job 37-41; Psa. 8:3-9; 19:1-6; 145:1-5; 148:1-14). But such evidence is found even in the powers of darkness—evil spirits—with Satan at their head, and in men who have done his bidding (Luke 22:53; Eph. 6:12; Col. 1:13). The history of human affairs abounds in both evidence and personal testimonies of such evil powers. Ours is not to advertise these to their advantage, but to expose them, pointing to their activities (2 Cor. 2:11; 1 Pet. 5:8), warning against them (Acts 26:18; 2 Cor. 11:14, 15; Eph. 6:11-18), announcing their soon-coming destruction during the reign of Christ (Matt. 25:41; 1 Cor. 6:3; Heb. 2:14; Rev. 20:1-10) and the release of the world of mankind from their evil clutches (John 12:31, 32; Isa. 25:7-10; 35:1-10; Rev. 20:1-3, 11; 21; 22). Satan himself, the prince or god of this evil world (John 14:30; 16:11; 2 Cor. 4:4; Eph. 2:1, 2) and the other demons who live in the unseen world which the Humanists deny, are not themselves in a position to disbelieve in a supernatural world, for they have in their very existence incontrovertible evidence of it. They know, they believe and as a consequence of their belief in God's righteous judgment they tremble (James 2:19; Matt. 8:28-34; Mark 3:11; Luke 4:33-36; 41)! The Scriptures, although having no influence on those lost in the foolishness of unbelief (Psa. 14:1; 2 Cor. 4:3, 4; 2 Thes. 3:2; Heb. 11:6), leave those "wise" in the Lord (Dan. 12:10; Matt. 11:25; Luke 10:21) in no doubt at all. God's dear children (Rom. 8:16, 17; Eph. 5:1, 2) are thus made wise unto salvation (Matt. 10:16; John 5:22; Rom. 15:4; 2 Tim. 3:15-17). This implies not only their full awareness of the world of spirit, but it implies also their protection from all evil spirit influences, and their binding to God, to Jesus and to all others who love Them supremely unto eternal life, if faithful, by good spirit influences, which is their living experience (Psa. 91:1-16; 141:8, 9). The "wise" in the Lord shall indeed understand!